Starting in the middle of Chichester we pick up the Chichester Canal, walking along the towpath of the New Lipchis Way until we reach West Itchenor. After turning southwards still along the towpath we walking onto the seaside village of West Wittering where we will be stopping for lunch. 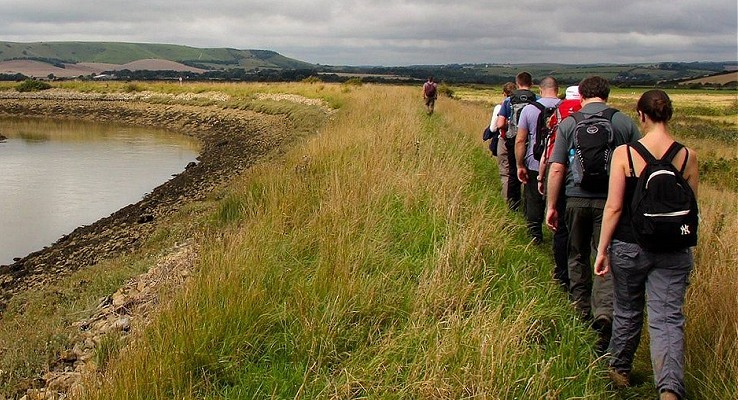 After a packed lunch, turning north to complete the circle around the wittering back up to West Itchenor (we will be catching the ferry across the Chichester Canal at a cost of £2.50 in cash). We head north after the ferry trip up the Bosham Channel the pretty village of Bosham for a drink in the pub. We finish the walk with a short half mile to the train station at Bosham to catch the train back to either Chichester (to pick up the car) or home.